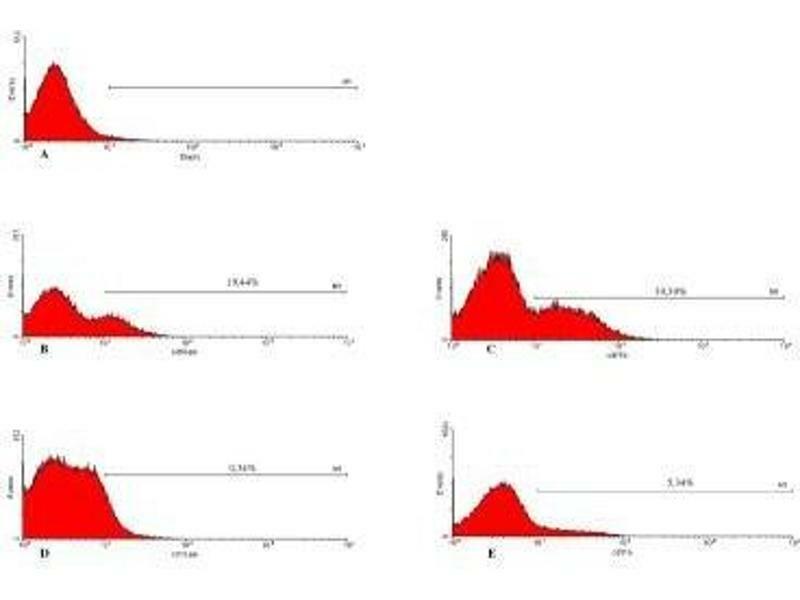 Flow Cytometry: Integrin beta 2/CD18 Antibody (YFC118.3) [ABIN4327005] - A) Isotype control with macrophages showing delineation of the M1 marker based on the negative population. 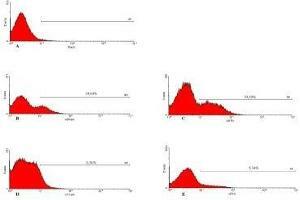 B and C represent expression of CD18 (B) or CD11b (C) before incubation with Leishmania. 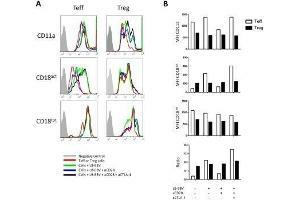 D and E represent expression of CD18 (D) or CD11b (E) after association with Leishmania in a SD assay. 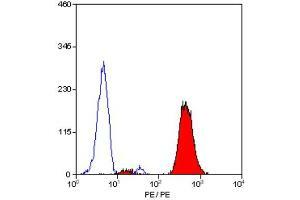 In all cases the percent positive cells within the M1 marker are identified. This Figure is a representative diagram of 4 experiments with similar findings. Immunocytochemistry/Immunofluorescence: Integrin beta 2/CD18 Antibody (YFC118.3) [ABIN4327005] - A-D Confocal microscopy of IBA-1 (green staining) immunohistochemistry of RPE flatmounts (RPE autofluorescence visible as orange due to its autofluorescence in the red and green channel) from a healthy donor (A), a geographic atrophy lesion (B), and large drusen (C and D). (A, B, D): orthogonal Z-stack projection; (C): oblique Z-stack projection and dissecting microscope appearance of postmortem large drusen after removal of the overlaying retina (inset). 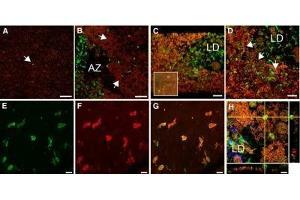 E-G Double-labeling on the subretinal side of the retina (to avoid masking by RPE autofluorescence) of IBA-1+ (E, green fluorescence) and CD18 (F, red fluorescence; G, merge). H. Orthogonal and lateral Z-stack of a subretinal IBA-1+ (green fluorescence) MPs adjacent to the RPE (orange autofluorescence) in the vicinity of a large drusen. 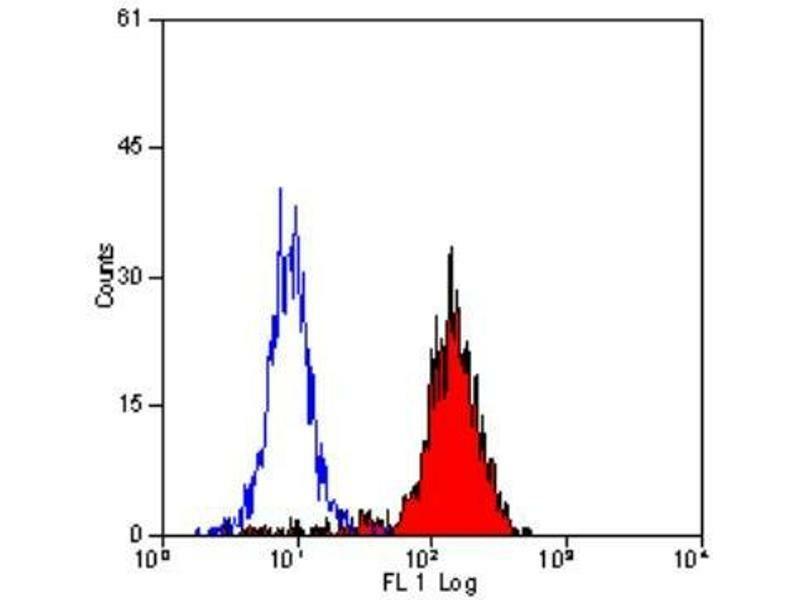 Flow Cytometry: Integrin beta 2/CD18 Antibody (YFC118.3) [ABIN4327005] - Analysis using the Biotin conjugate of ABIN4327005. Staining of human peripheral blood lymphocytes. 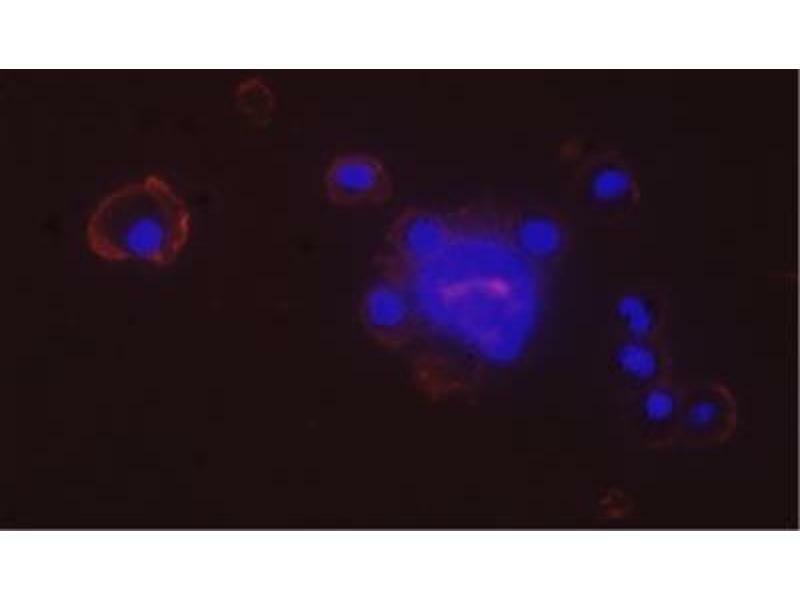 Immunocytochemistry/Immunofluorescence: Integrin beta 2/CD18 Antibody (YFC118.3) [ABIN4327005] - Analysis of canine thoracic fluid samples using anti-Integrin beta 2 antibody. 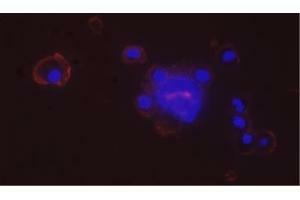 The antibody showing positive cell surface staining. Image from verified customer review. 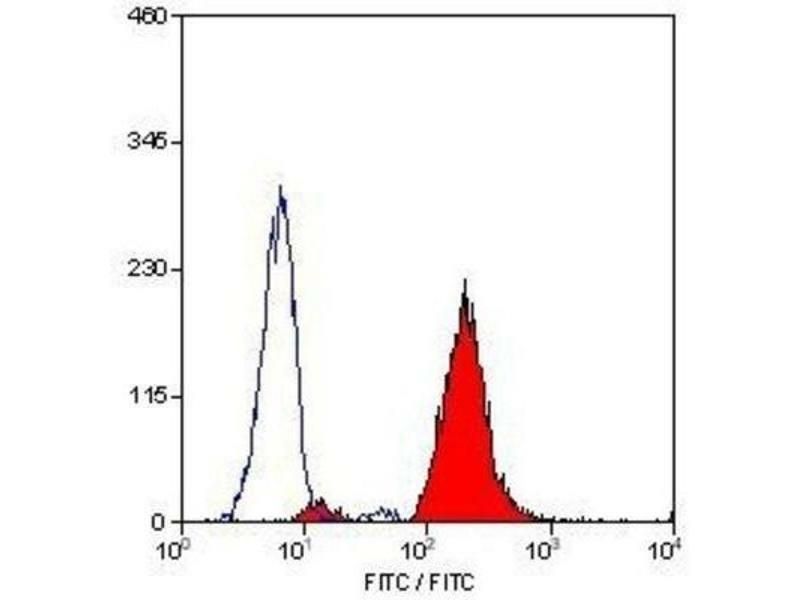 Flow Cytometry: Integrin beta 2/CD18 Antibody (YFC118.3) [ABIN4327005] - Staining of human peripheral blood granulocytes with RAT ANTI HUMAN CD18: FITC. 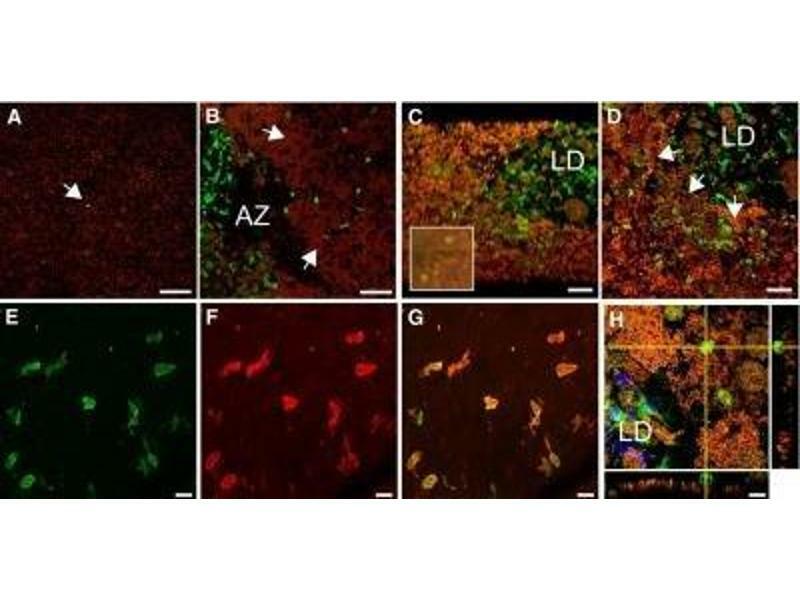 Specificity This recognises the human CD18 cell surface antigen, the integrin beta2 subunit. 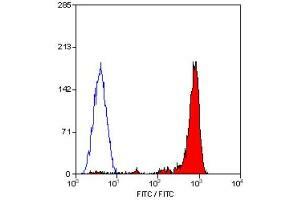 CD18 is expressed by the majority of leucocytes. 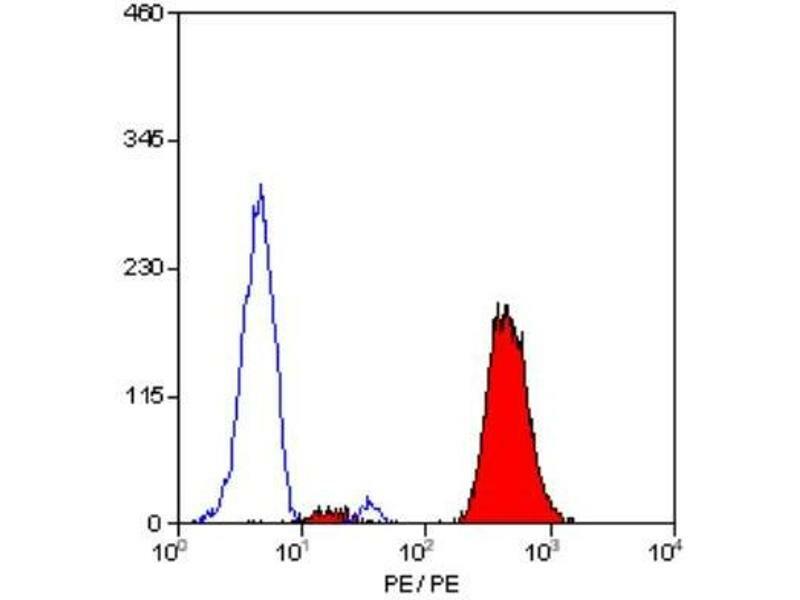 Flow Cytometry: Integrin beta 2/CD18 Antibody (YFC118.3) [ABIN4327005] - Staining of human peripheral blood lymphocytes with Rat anti Human CD18. 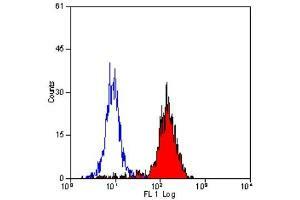 Flow Cytometry: Integrin beta 2/CD18 Antibody (YFC118.3) [ABIN4327005] - LFA-1 activation analyses by Flow Cytometry. 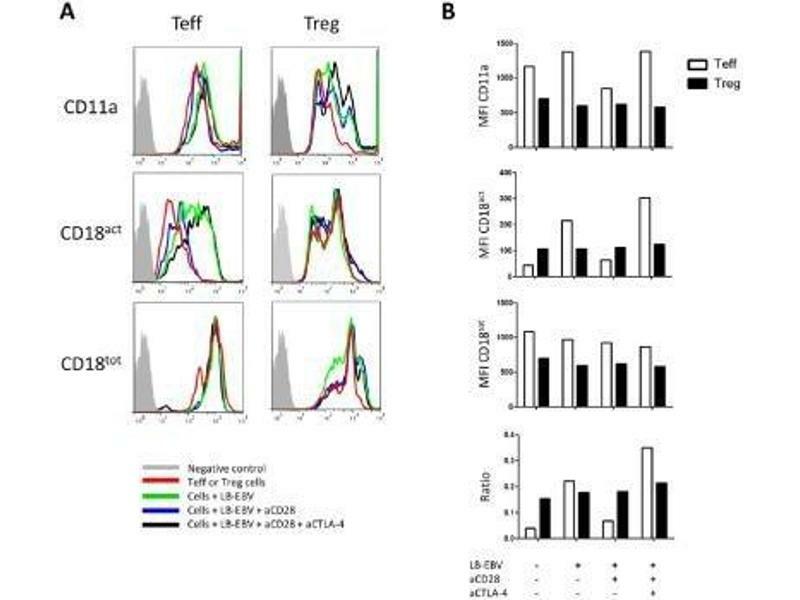 (A) Profiles of CD11a, CD18 activation epitope (CD18act, representing high affinity conformation) and CD18 (CD18tot) expression by Teff and Treg#1 cells pre-incubated or not with indicated antibodies. Anti-CD28 and anti-CTLA-4 were used at 10 ug/ml. 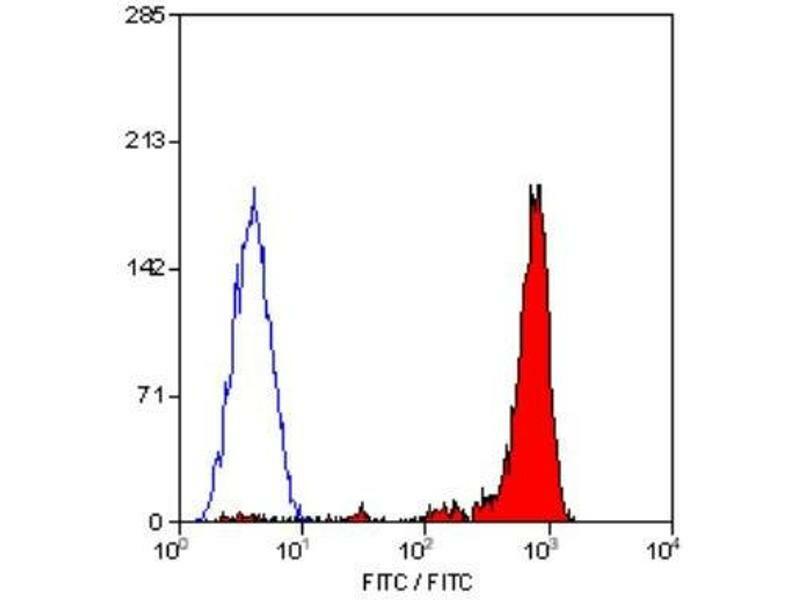 (B) Histograms of Mean Fluorescent Intensity (MFI) of CD11a, CD18act and CD18tot expressed on Teff and Treg#1 cells. 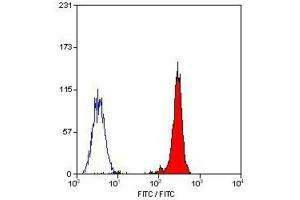 Ratio CD18act MFI: CD18tot was established to analyze LFA-1 high affinity conformation in indicated conditions. Data are representative of more than three different experiments. 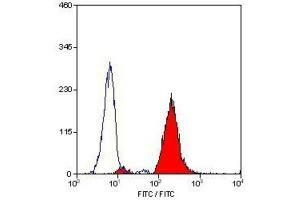 Filled gray, negative control; Red line, Teff and Treg cells alone; Green line, cells with APC; Blue line, cells with APC and anti-CD28; and Black line: cells with APC, anti-CD28 and anti-CTLA-4. 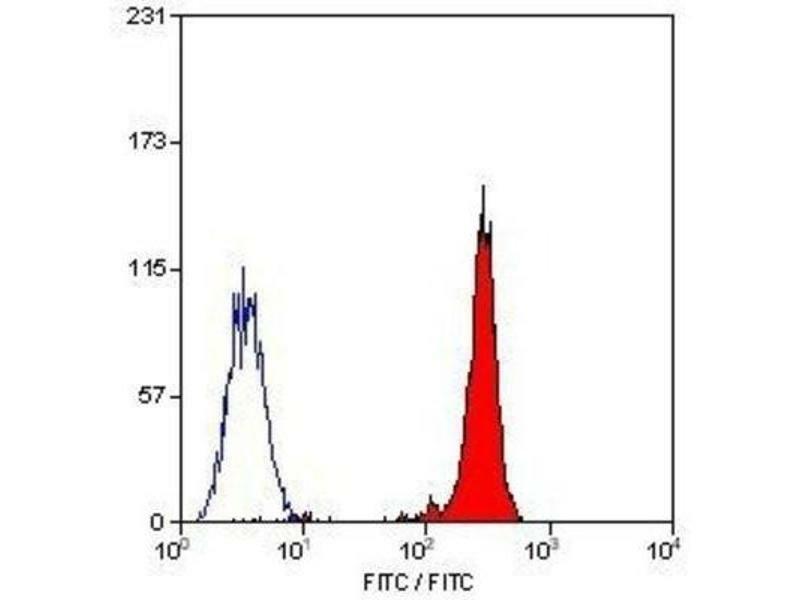 Flow Cytometry: Integrin beta 2/CD18 Antibody (YFC118.3) [ABIN4327005] - Staining of human peripheral blood granulocytes with CD18: Alexa Fluor 647.